As a partner focused business, we give back control to you. This means, not only do you retain your customers but you can add an increasing new revenue stream to your business. No longer do you need to refer your customers to 3rd party payments providers. Stark Payments can be easily integrated into your technology or platform with minimal effort. Our technology APIs are built on multiple industry leading programming languages. Stark Payments adheres to the highest security standards, which means our technology is 100% PCI Level 1 compliant. If we are, that means you are! Software platform developers and providers that want to offer in-built payment processing capabilities can now ‘hard code’ Stark Payments (without mentioning our name) into their tech. What does this mean? 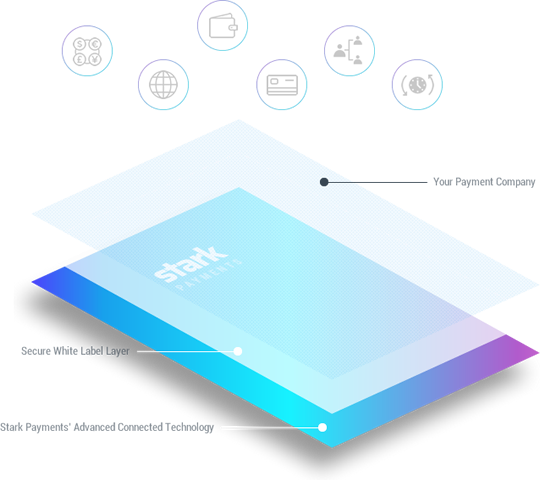 Stark Payments’ powerful white label technology means as an approved partner, you can enter the market as an independent payment service provider or simply resell payment processing services to your existing and new clients. Both options are fully white labelled and your clients will not know about Stark Payments. We’re here to support your growth and offer bespoke options to each and every one of our clients. It’s easy to join our White Label Partner Programme. Simply contact us below and tell us a little bit about your business. Once approved, our technical team will quickly set you up and before long you’ll be able to launch with a brand new online payments service.